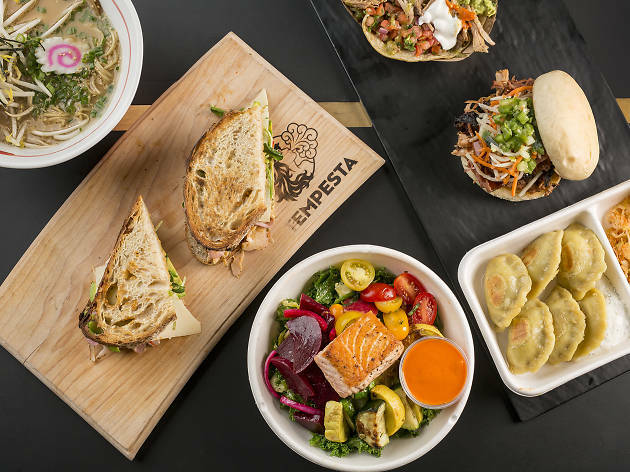 Chicago's newest food hall is small but mighty. 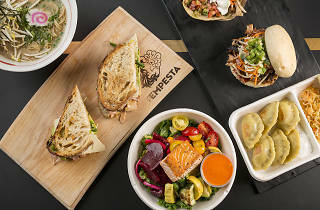 Hungry visitors can grab bites from 10 vendors, including doughnuts at Firecakes, sandwiches at Tempesta, gyros at Piggie Smalls, maki rolls at Tabo Sushi and fresh, seasonal salads at Fare. The sunny space is also home to Flowers for Dreams, offering sweet and stunning floral arrangements on the go. There's plenty of seating inside the hall, but if the weather's nice, take your meal to go and have a seat along the Chicago Riverwalk, located just steps away from this Loop cafeteria.